Pictured left to right: Corry, Ashlye (Activity Director), Shannon, Brooklyn, Becky, and Jume. Last week was National Activity Professionals Week. We are so thankful for our Activity Department and everyone who works in it. They go above and beyond the call of duty and are always doing what they can to bring smiles to the residents. We love our Activity Crew! Thank you all for what you do! 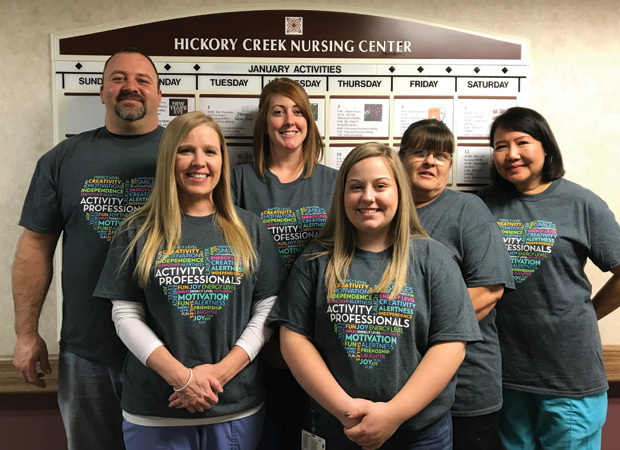 We are so thankful for the incredible team at Hickory Creek and how they have created "A Culture of Care" for our residents and families. As part of the Foundations Health Solutions family, we prioritize our residents, families, and their care.